Ayrshire Scotland Business News: A successful trip back in time for Alloway 1759! 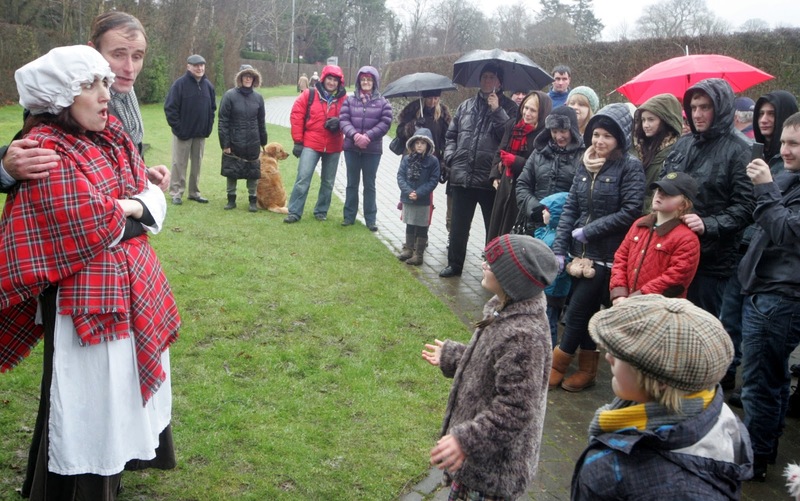 The village of Alloway got a real flavour of life from yesteryear when the annual Alloway 1759 returned this year, again earning plaudits as THE way to celebrate the life and times of Rabbie Burns in South Ayrshire. This year the celebrations were headlined by Scots singing sensation Eddi Reader MBE, who performed a concert at Ayr Town Hall in celebration of the Robert Burns Humanitarian Award 2013, posthumously awarded to Red Cross aid worker Khalil Dale. Eddi was joined on stage by musicians Boo Hewerdine, Alan Kelly, John Douglas and Kevin McGuire, singing songs from her internationally-acclaimed ‘Songs of Robert Burns’, as well as tracks old and new. Ayr’s Gaiety theatre hosted two new events which proved very popular – a production of ‘A Man’s a Man’ and a unique Burns Supper – both boasting stars of the screen and stage. Speaking in Alloway during the celebrations, South Ayrshire Provost Helen Moonie said: “Burns would have been delighted his memory continues to be celebrated and enjoyed in this way and I've no doubt he'd also have been proud and humbled by the Humanitarian Award ceremony, named after him, supported by the Council and EventScotland. New events for 2013 included an Auld Alloway Ghost Walk, where the local poacher returned from the dead to roam the streets of Alloway and tell terrifying tales of Robert Burns’ birthplace, much to the entertainment of mums, dads and enthralled youngsters! Other mouth-watering treats included a unique Burns Birthday Feast which saw visitors join in a 37th birthday feast for Rabbie, lovingly prepared by Jean Armour, while the Bard roamed the streets with friend Alexander Cunningham, banned from the house until dinner was ready! Also popular were the many stalls, offering some of South Ayrshire’s finest produce, the Ayrshire Fiddle Orchestra who entertained and led the dances, helping to keep peoples’ toes tapping, the Ayrshire Farmers Market and, for the younger visitors, the free horse and cart trips through the village. A set of photographs taken at this event is available on Flickr. CLICK HERE and then click on any thumbnail image to view larger versions.